Over the last few years, Ukraine went through dramatic political, socio-economic and cultural changes. In this exclusive article for ARC2020, Dr. Natalia Mamonova investigates how the rising Ukrainian national identity and patriotic sentiments during the geopolitical conflict with Russia changed the ways in which Ukrainian smallholders see their household farming. The revealed transformation may lead to an emergence of a food sovereignty movement in Ukraine. Household food production is a widespread practice in Ukraine. Nearly all rural residents and a half of urban dwellers are engaged in food self-provisioning at their household plots. People grow their food in accordance with local traditions, using manual labour and organic fertilisers. Today, this so-called ‘people’s farming’ (in Ukrainian: hospodarstva naselennya) contributes up to 45% of the gross domestic agricultural output. 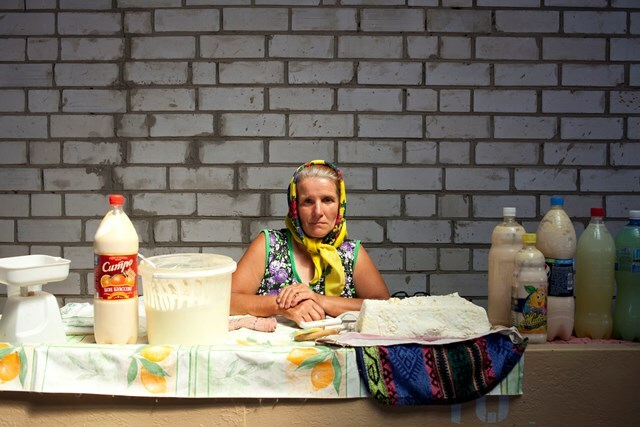 Ukrainian smallholders are the major producers of potatoes, vegetables, fruits and milk in the country. However, their crucial role in the national food security is largely overlooked by the Ukrainian government, which supports the development of large-scale industrial agriculture. Household food production has its roots in the Soviet period, when, in the late 1930s, rural (and some urban) families were allowed to conduct subsidiary farming at their household plots in compensation for low salaries and food deficits in the country. Since then, it has been playing an important role in the subsistence of many Ukrainian families. In the Soviet time, people’s farming used to be portrayed as a ‘backward’ and ‘inefficient’ subsidiary to supposedly ‘progressive’ and ‘efficient’ large-scale collective farms. This discourse remained vital even after the collapse of the Soviet Union in 1991, when the new Ukrainian government initiated a land reform, aimed at distributing the collective farmland to rural dwellers for private farming. The reform failed and the distributed land was accumulated by Ukrainian oligarchs and foreign investors, who restored the large-scale agricultural production there. Today, the people’s farming exists in parallel with large agroholdings and megafarms. The recent research in the region demonstrated that household food production is as efficient in output as compared to commercial agriculture, but much more sustainable. The small-scale farming is carried out in accordance with local traditions, fosters community networks, and represents a localisation of food economies. These practices have much in common with alternative food movements in the Global North and peasant struggles for food sovereignty in the Global South; however, they are not accompanied by associated discourses and mobilisation. Until recently, Ukrainian smallholders did not attain great importance to their farming and did not see it as alternative to industrial agriculture. The Euromaidan revolution, which was followed by the confrontation with Russia, annexation of Crimea and the war in Eastern Ukraine, have drastically transformed the Ukrainian national orientation and people’s attitudes to socialist legacies. The Russia’s aggression became associated with the Soviet past, which is no longer desired, while the future is now linked with utopian visions of Europe and democracy. In the countryside, people started questioning the privileged position of large-scale agriculture and openly criticise state policy which supports this type of production. The European Union’s agricultural model, which is based on individual family farming, is now seen by many Ukrainians as the most desired way to move forward. Moreover, many Ukrainian smallholders have high hopes for the Ukraine-European Union Association Agreement, which is expected to contribute to Ukraine’s economic modernisation and integration with EU’s internal market. The prospects of Eurointegration generated a discourse on ecological, economic and health benefits of smallholders’ production that, supposedly, would be popular on the European market as an equivalent to organic farming. Recently, international organisations – such as Organic World and the Research Institute of Organic Agriculture (FiBL) – launched several campaigns for the development of organic farming in Ukraine. 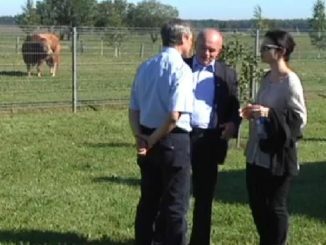 They argued that the country could become the largest organic food supplier to the European market, having 300,000 hectares of land that can be certified under the EU Organic Farming standards. However, until now, just a few certified organic farms were established in Ukraine. Not many smallholders are able to provide evidence to confirm the eligibility of their products for European markets. The Euromaidan revolution and the geopolitical conflict with Russia have triggered a surge in patriotism among many Ukrainians. According to the Ukrainian Centre for Economic and Political Studies, the percentage of Ukrainians who considered themselves patriots rose from 31% in 2010 to 73.3% in 2016. This patriotism led to the re-discovery of national traditions and the popularisation of folk (peasant) culture. Traditional food, which is a key element of folk culture, became very popular among Ukrainian consumers and producers. In supermarkets, you can often see posters with the slogan: ‘Buy Uknainian!’ (Kupuy Ukrayinsʹke). Ukrainian food fairs and traditional folk festivals attract numerous visitors to the countryside, which gradually transforms the image of the Ukrainian village from ‘a godforsaken place’ to a source of national customs and culture. Furthermore, the Euromaidan has changed the general attitude towards forms of protest and towards the ability of ordinary people to define the direction of national development. Formerly, smallholders did not believe that their mobilisation and collective action could bring any substantial results and improve their wellbeing. 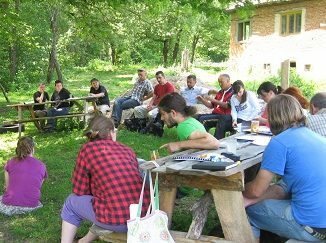 Ukrainian rural society used to be characterised as conservative, passive, lacking the experience of grassroots collective endeavours. Nowadays, more and more rural dwellers see their strength in collaboration and collective action. This has positively influenced cooperation between small-scale farmers and their willingness to work together for the better (European) future of their country. Why is this important and where may it lead to? The Euromaidan revolution in Ukraine and the subsequent crisis have brought the country further way from Russia and closer to Europe, at least in an ideological sense. It is too early to see any transformation of the Ukrainian agricultural system, but the change in the smallholders’ attitudes to their food and farming is an important change. Food self-provisioning was already sustainable and widespread practice in Ukraine, but it lacked associated discourses and mobilisation that could transform it into a food sovereignty or alternative food movement. The detected changes might be the step in that direction. This article is a summary by the author of a longer academic article in the peer reviewed journal Sociologia Ruralis. Mamonova, N. (2018). Patriotism and Food Sovereignty: Changes in the Social Imaginary of Small‐Scale Farming in Post‐Euromaidan Ukraine. Sociologia Ruralis, 58(1), pp. 190–212. NATALIA MAMONOVA is a research fellow at the Russia & Eurasia Programme of the Swedish Institute of International Affairs in Stockholm. She did her PhD at the Institute of Social Studies of Erasmus University, the Netherlands. Her dissertation was about rural politics in contemporary Russia & Ukraine. Two of her single-authored articles (‘Resistance or adaptation? Ukrainian peasants’ responses to land grabbing’ & ‘Naive Monarchism and Rural Resistance in Contemporary Russia’) received ‘The Best Article’ awards from Erasmus University in 2016 & 2017. 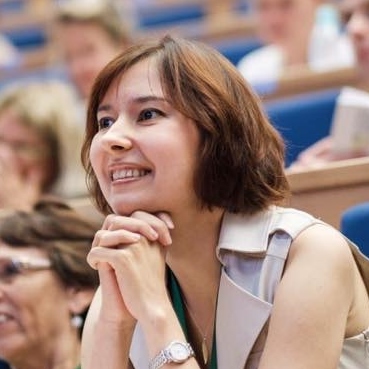 After completing her PhD, Natalia was a visiting researcher at the School of Geography and the Environment of the University of Oxford, and a post-doc fellow at the Institute for Advanced Study ‘New Europe College’ in Bucharest.